Pre heat the oven on CONVECTION 200°C. Halve any large sprouts and toss them with the oil. 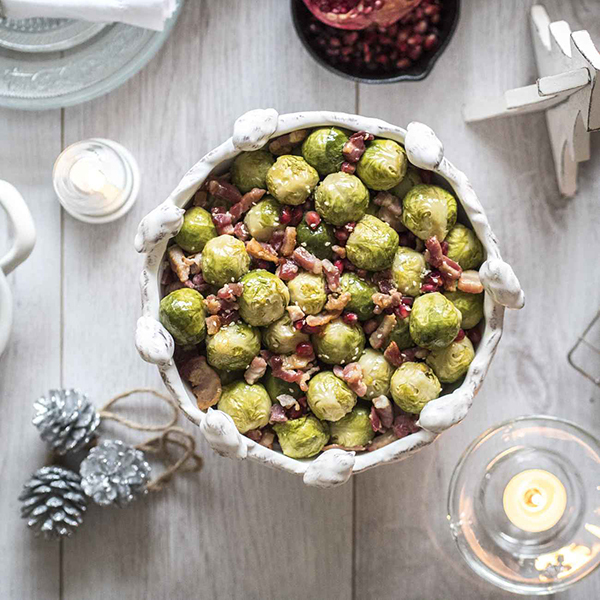 Place the sprouts and lardons in the enamel tray and roast for 20 mins or until tender and turning golden. After 15 mins of cooking scatter over the sesame seeds and continue to cook until the seeds are toasted. Pile into a warmed serving dish, season, then toss through the pomegranate seeds. Made using a Panasonic Convection Microwave.